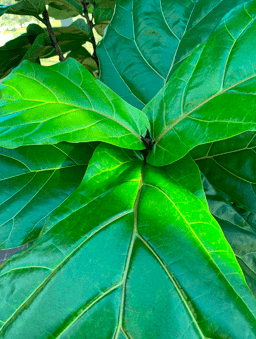 Meet our Before & After Fiddle Leaf Fig 2018 Photo Contest winner, Alison Pelland! Alison is a professional. 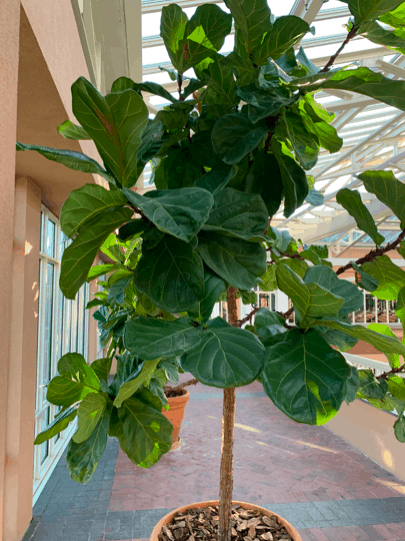 In fact, she is a commercial plant caretaker, and she has some great ideas for caring for your fiddle leaf fig. We wanted to share some of her tips! 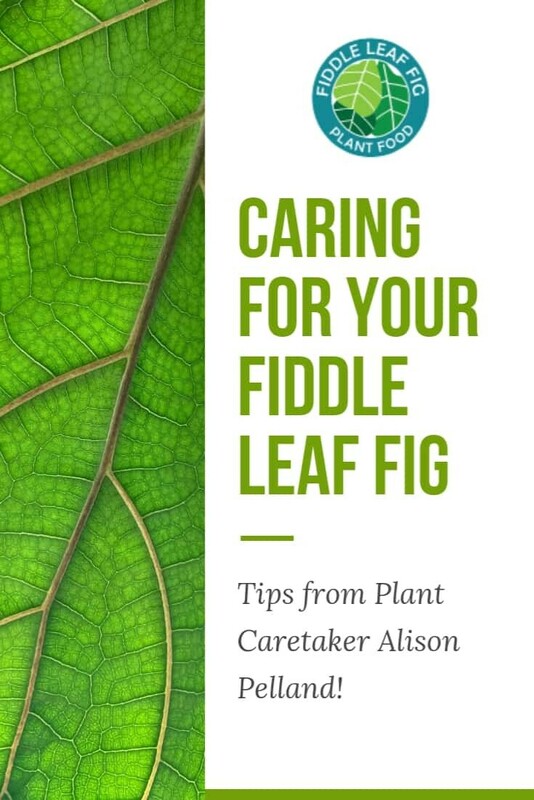 I asked Alison about her secrets for growing gorgeous fiddle leaf figs, and she gave me a rundown of her complete care routine. Claire Akin: I understand you’re a professional plant caretaker! How did you get into that career? 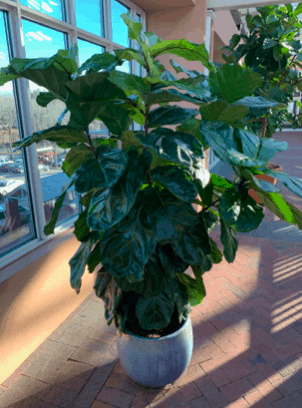 The company I work for maintains indoor and outdoor plants for several commercial properties. My older brother had worked for the company when it was one of the biggest landscaping companies in the state. Once they downsized, he asked if I needed a job, and I’ve been there for fifteen years and counting! It’s definitely a one-of-a-kind job. It’s the perfect career! 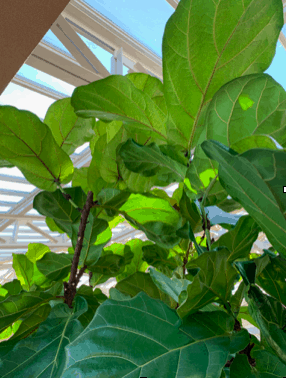 Claire Akin: What’s your secret weapon when it comes to growing fiddle leaf figs? Alison: Light! The more direct sunlight or light from grow lights (if your plant is acclimated), the better. They are full sun trees in their natural habitat, so I do whatever I can to replicate that. Claire Akin: Where do you think most people go wrong with their fiddle leaf figs? Alison: Most people have a fear of overwatering, so they tend to under-water. Big mistake! They love water. 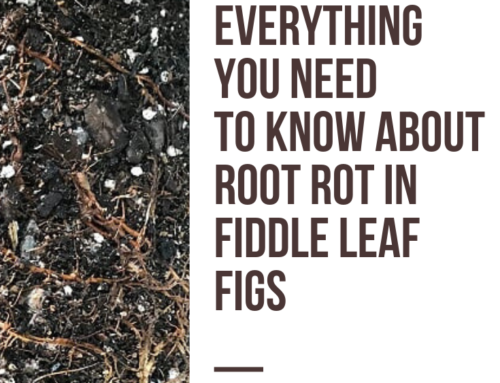 With the correct substrate pot with good drainage, it’s nearly impossible to get root rot. Fiddle leaf figs want to stay slightly moist, but not soaked. Claire Akin: Why do you think people are intimidated by fiddle leaf figs? Alison: Probably because of all the misinformation about them being divas! They’re also quite costly. It can be scary to buy a tree for over $100 and want to keep it thriving when you don’t have the correct environment for it. The good news is that any environment can be ideal if you supplement light, warmth, and humidity. Claire Akin: You won our photo contest by documenting the growth of a tree named Pierre. Tell us the story of Pierre and how you got your before and after photos! Alison: Pierre came to us in a group of three trees for an open house for a new building. Once the event was over, he found his new home inside the atrium of the building. He’s around 12 feet tall, including the 2-foot tall pot he lives in. He grows like a weed and would be over 20 feet tall if we didn’t hard prune him and his squad regularly! Each time I prune him, I give the cuttings away to folks I’ve met within the plant community so they can propagate and have a piece of him. He’s the biggest of the nine inside the atrium there. It’s a private company so I can’t really go into it as much as I would like. I wish it were open to the public as well. It would be amazing to give educational tours of all the plants in and on this one property. It’s really breathtaking in person. As for his general care routine, he gets water once a week during the summer and every 10-14 days during the winter. I use a 20-20-20 water-soluble powder fertilizer from work that dilutes to a 1-1-1 ratio once a month. I also throw in a slow-release pellet. Three times a year he and his friends get a magnesium treatment at the same time I do my palms. They get full sun all year long and they love it! Claire Akin: Why do you think houseplants are important in our homes? Alison: I think they are important for a healthy environment. I grew up with a few houseplants and really got into it once I was confident enough to keep them alive. A home is different than most of our plants’ natural habitat. Bringing them in a home makes it more inviting and is always good for the air quality. You just can’t go wrong having plants all around you. 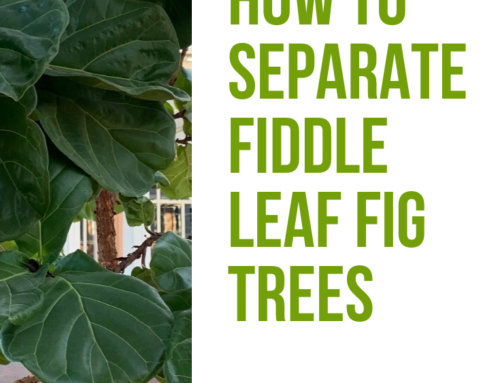 Claire Akin: As our contest winner, you’re the proud owner of a new fiddle leaf fig! 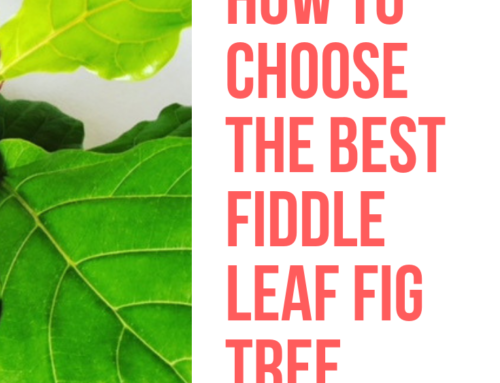 What are you going to name your new fiddle leaf fig? 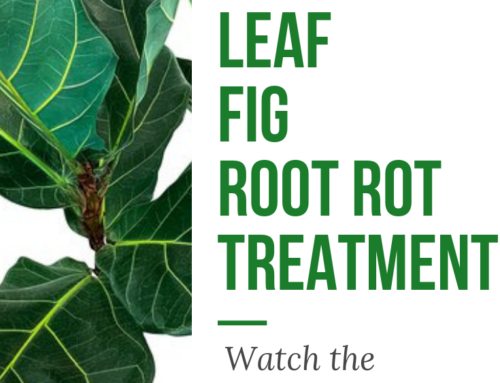 We hope this gives you some ideas for caring for your own fiddle leaf fig, or that it inspired you to give them a try! 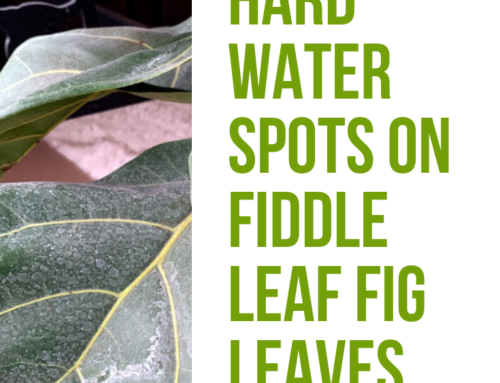 For more fiddle leaf fig care tips, be sure to read How to Keep Your Fiddle Leaf Fig Healthy, Green, and Gorgeous.